It's always a great idea to make a game plan when attending a large, crowded area with your children. What happens if they wander off, do they know where to meet you? Before going to the festival, have a talk with your children about what to do if they get separated - during the car ride there is a great opportunity so it will be fresh in their minds. Once you arrive, pick an easily identifiable location (like a tall ride) for them to meet you at if they were to be separated from you. Another great idea we love is writing your cell phone numbers in sharpie on their arm and coat it with liquid band-aid to help the number from washing off. This way if they wander to someone, that someone can call you and hopefully assist with uniting your child with you. Strangers with your children? As always, you should have a "stranger danger" talk with your children. Not just for festivals - but for everyday safety. What else comes to mind with festivals and fares - Food. Foodborne illnesses increase during the summer months, making it even more important to follow food safety steps. There are several reasons that foodborne illnesses increase in summer - anything from cross contamination to improper temps. Food wagons and trucks must follow board of health laws and be certified. So always look for the certification in the window or on a wall! Learn more about the possible hazards of food trucks here. - Go on a weekday. 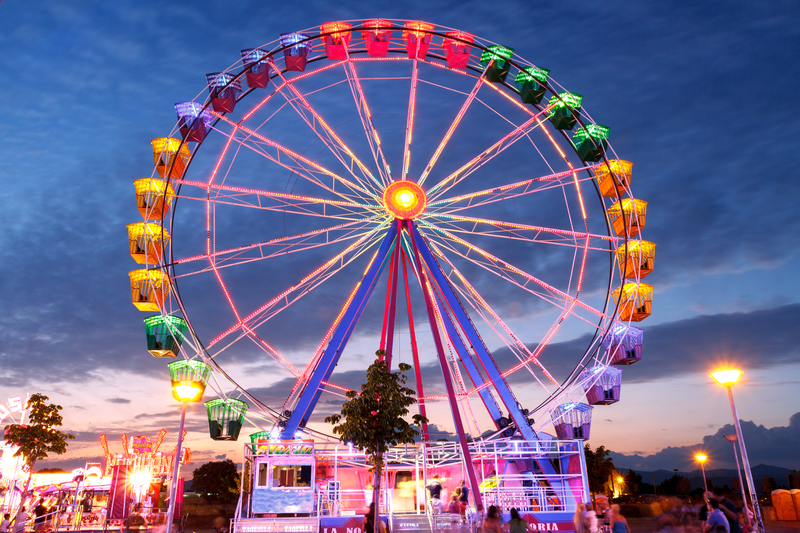 Try to go to the carnival on a weekday instead of nights or weekends, when it's more crowded and chaotic and more likely for accidents to happen. - Wear appropriate clothing and shoes. Don't wear any clothing that dangles or drags and wear sturdy shoes -- no flip-flops. - Seat belt should be snug, but not tight. Adjust your seat belt so it's nice and snug but not tight. - Keep arms, legs, head inside compartment. Follow instructions about keeping your arms, legs and head inside the compartment. - Make sure ride has ended before exiting. Keep in mind that many accidents happen when the ride is over and you're trying to get off. Problem is, often the ride really hasn't ended and people start to get out and then get struck. Make sure the ride operator has told you it's time for you to get out. And the best tip of all we have for you for this summer's activities - enjoy the time with your family!! !